In what markets are commodity options available? 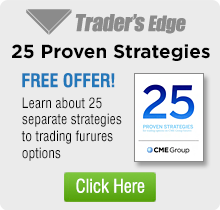 What are the advantages of trading futures over stocks? Is there a chance someone will deliver 40,000 pounds of live cattle to my front door? An option is an agreement between a buyer and a seller that gives the buyer the right, but not the obligation, to require the seller to perform specified responsibilities. There are two types of options: calls and puts. 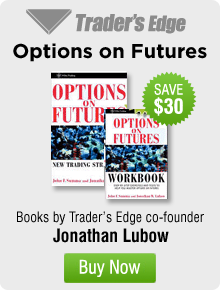 The call buyer has purchased the right but not the obligation to buy, or go long, a futures contract at a certain price (the strike price) on or before the expiration date. The put buyer, conversely, has purchased the right but not the obligation to sell, or go short, a futures contract at a certain price on or before its expiration. The amount of money that a call or put option buyer pays for the option is referred to as the option premium. The goal of the option buyer is for the option to increase in value so that it can be liquidatedfor a profit. Sellers, or writers, of options receive the premium for granting the option to an option purchaser. The goal of the option seller is for the option to expire worthless enabling him or her to retain the premium. A stock investor may attempt to diversify by investing in different industries. The investor might establish positions in the utility, pharmaceutical, defense, and technology sectors in an attempt to diversify a portfolio. However, if the Dow drops 500 points in a day and decliners lead advancers by a 10 to 1 margin, is the stock investor truly diversified? The futures investor, on the other hand, does have the ability to effectively diversify a portfolio. The futures markets are divided into different complexes: metals, grains, currencies, energies, livestock, interest rates, softs, and indexes. These groups are not totally interrelated. A dramatic move in silver should not effect wheat prices and a large rise in the SP500 should not effect cotton. Stock margin is archaic. Each and every stock requires margin regardless of the existing positions. Commodities utilize a trader friendly margin called Span. Span evaluates risk of the entire portfolio taking into consideration the markets and type of trade. Companies traded on the stock exchange can and do go bankrupt; commodities traded on the futures market cannot. Commodities are durable, consumable, or financial goods. A constant economic supply and demand relationship exists for commodities which determines their prices, potentially creating some unique opportunities. Trading volume in futures contracts and options on futures on U.S. markets has risen to more than 1 billion contracts annually. And the dollar value of futures contracts traded currently exceeds severalfold the dollar value of common stocks traded on all U.S. stock exchanges. Every year more commodities become available to trade. You will not trip over cattle on the way to get your mail. Accidental delivery to your front yard cannot occur. Delivery takes place in the form of a warehouse receipt. Before delivery of any commodity can occur, payment or financing terms must be arranged and accepted, then delivery instructions must be made with method of shipment, delivery date and place of delivery. Rest assured you will not receive a wake-up call from mooing cows.